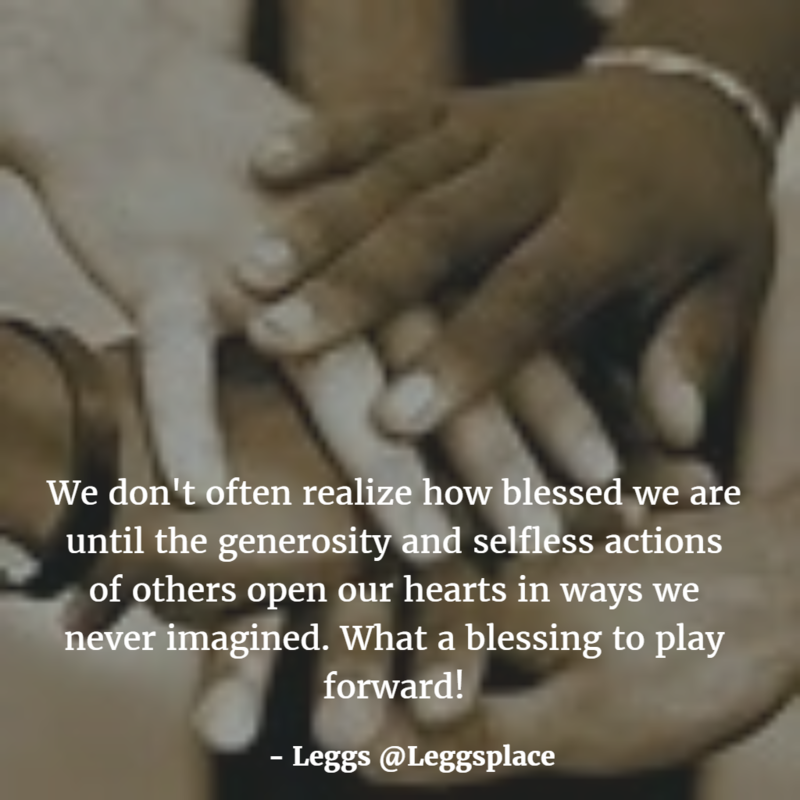 We don’t often realize how blessed we are until the generosity and selfless actions of others open our hearts in ways we never imagined. What a blessing to play forward! 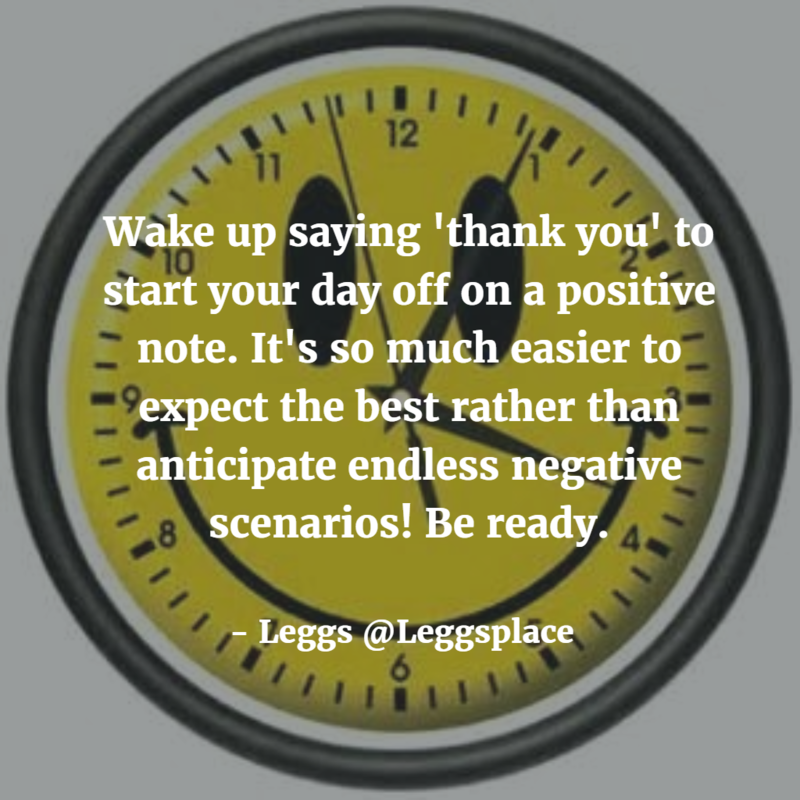 Wake up saying ‘thank you’ to start your day off on a positive note. It’s so much easier to expect the best rather than anticipate endless negative scenarios! Be ready! YOUR OPINION MATTERS! Just because you don’t speak up doesn’t mean you have nothing to say. 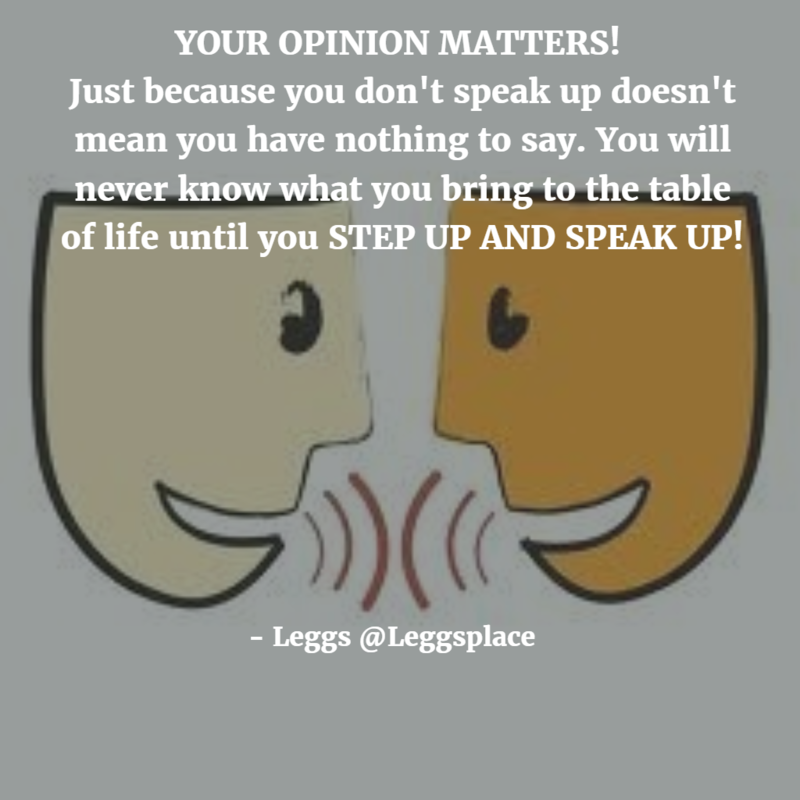 You will never know what you bring to the table of life until you STEP UP AND SPEAK UP! Stay mindful of who you are, where you’ve been and want to go. Never compromise your values and beliefs. 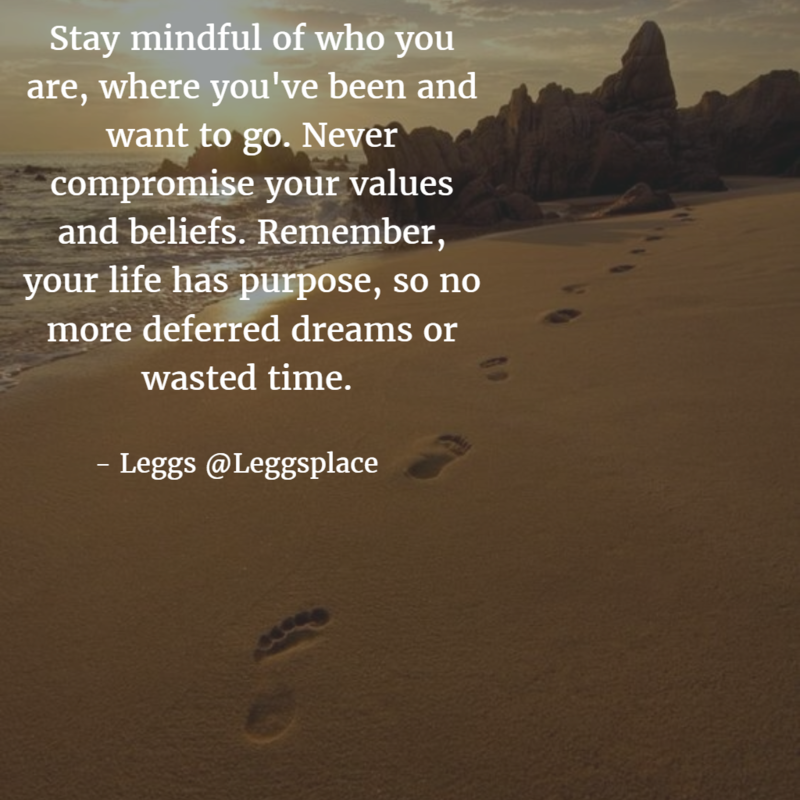 Remember, your life has purpose, so no more deferred dreams or wasted time. TIME TO GET BUSY! 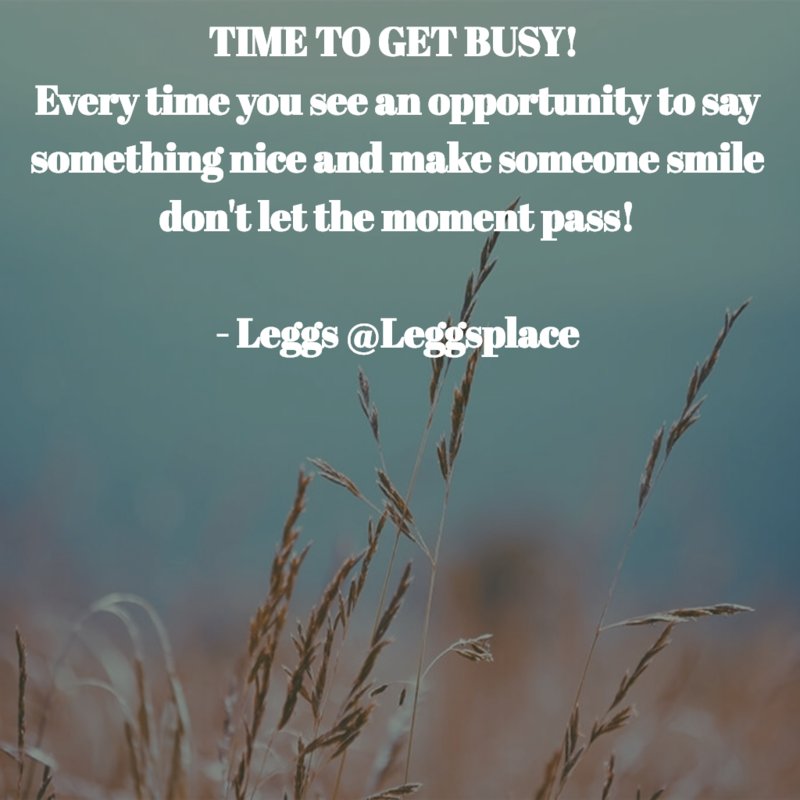 Every time you see an opportunity to say something nice and make someone smile don’t let the moment pass! Whatever today brings I hope it feels like magic. Whatever you do today I hope it includes a smile for a stranger. 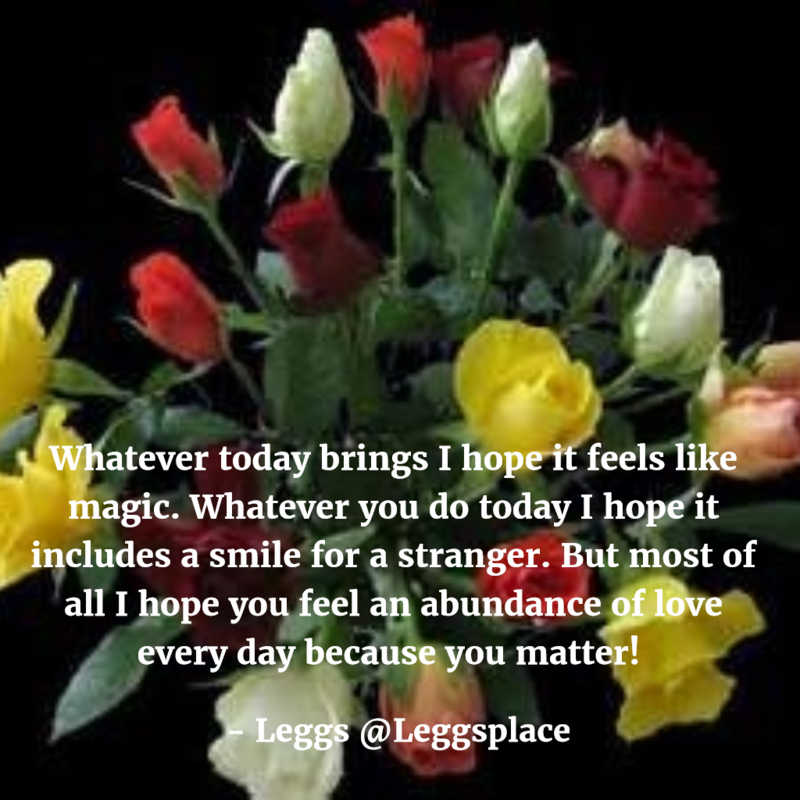 But most of all I hope you feel an abundance of love every day because you matter! It’s so easy to get caught up in situations that steal moments away we can’t get back. 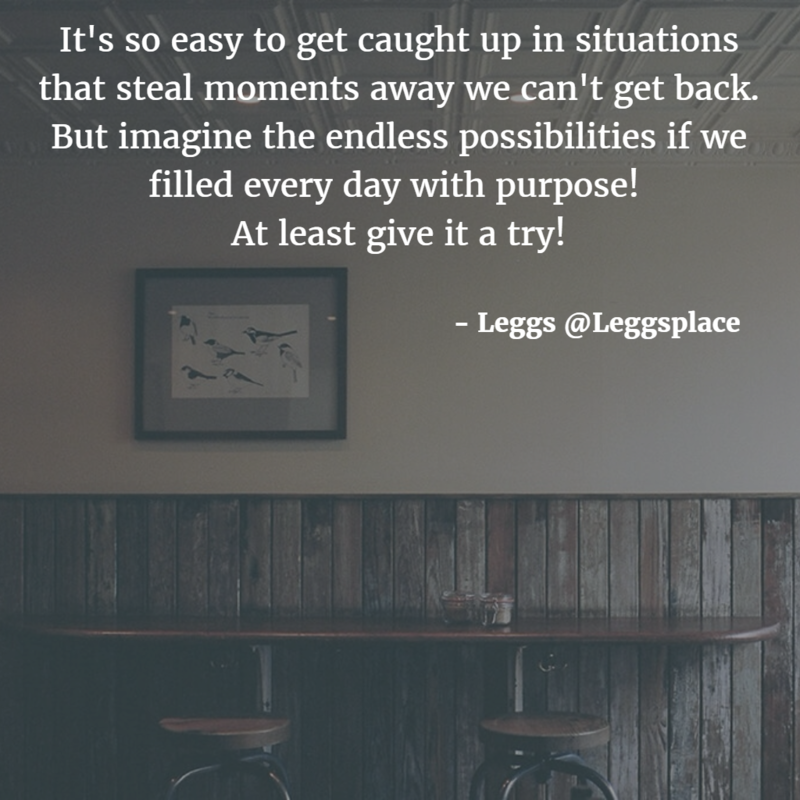 But imagine the endless possibilities if we filled every day with purpose! At least give it a try! 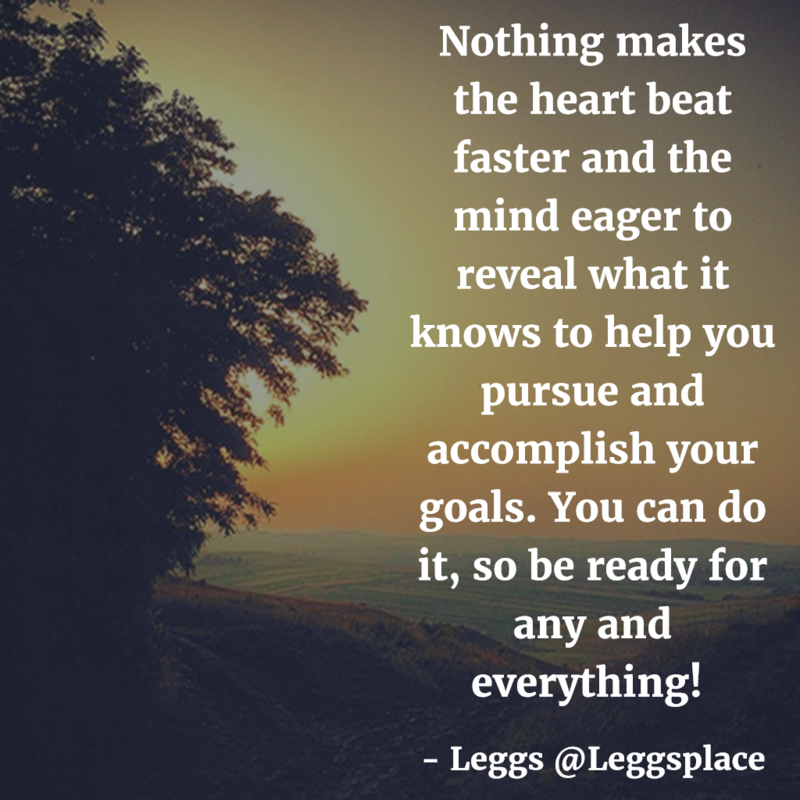 Nothing makes the heart beat faster and the mind eager to reveal what it knows to help you pursue and accomplish your goals. You can do it, so be ready for any and everything! 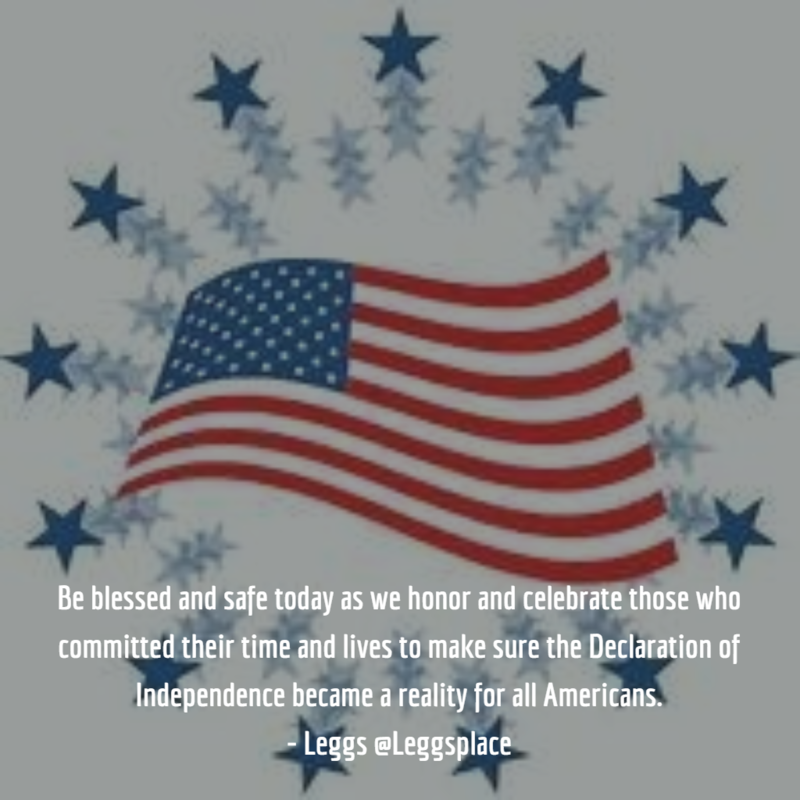 Be blessed and safe today as we honor and celebrate those who committed their time and lives to make sure the Declaration of Independence became a reality for all Americans. 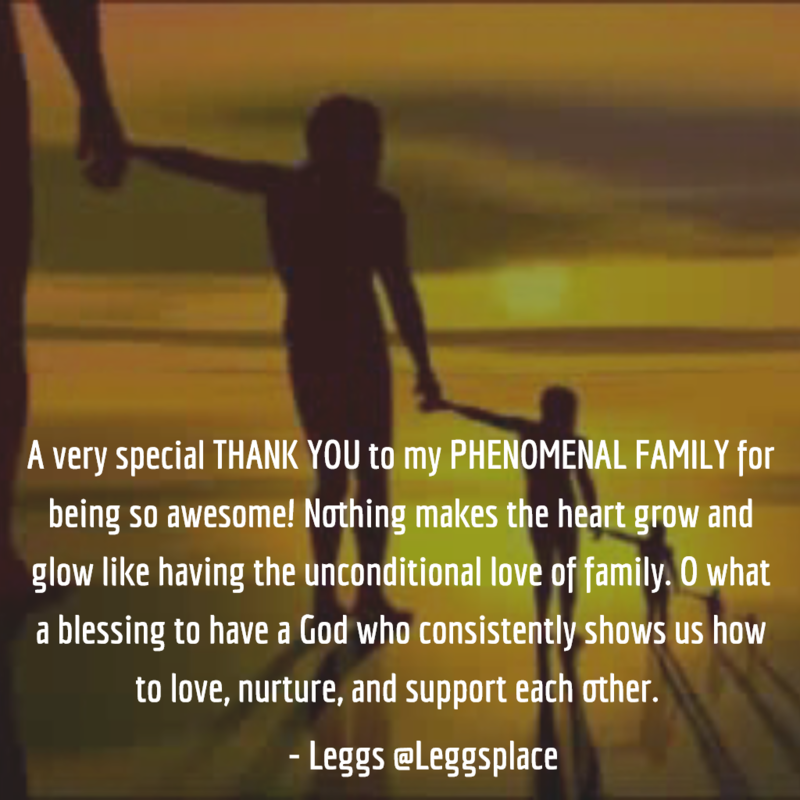 A very special THANK YOU to my PHENOMENAL FAMILY for being so awesome! Nothing makes the heart grow and glow like having the unconditional love of family. O what a blessing to have a God who consistently shows us how to love, nurture, and support each other. 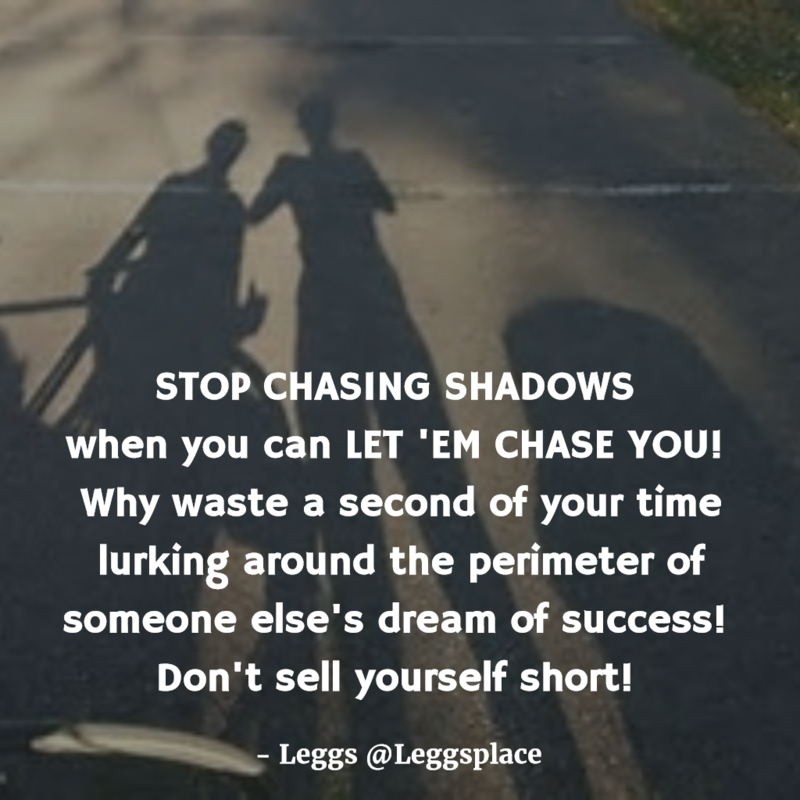 STOP CHASING SHADOWS when you can LET ‘EM CHASE YOU! Why waste a second of your time lurking around the perimeter of someone else’s dream of success! 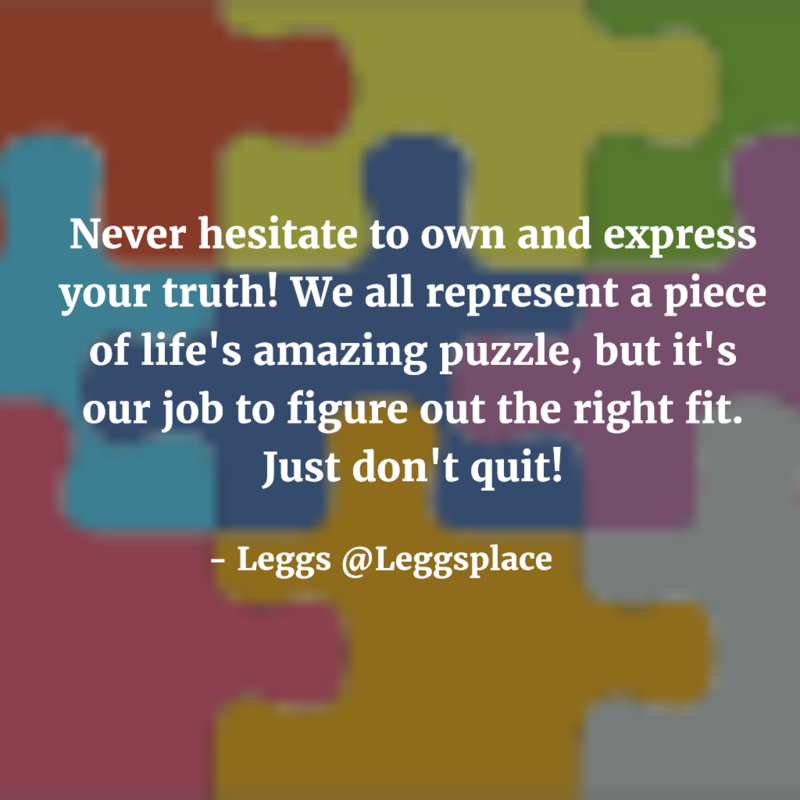 Don’t sell yourself short! Wherever life takes you don’t make the journey harder than it needs to be. With every step you take stay focused and fill each one with purpose. 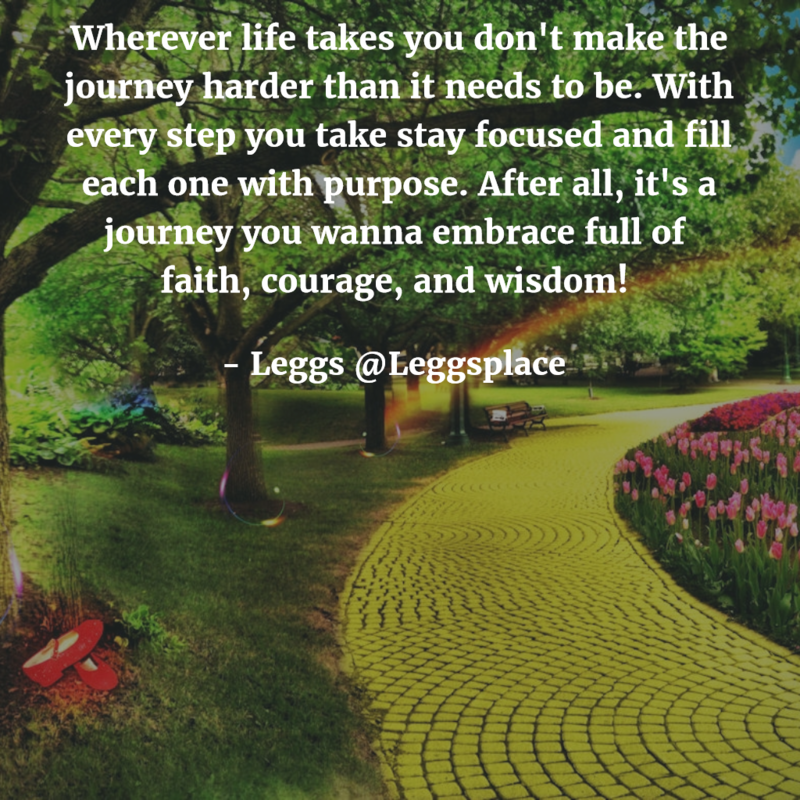 After all, it’s a journey you wanna embrace full of faith, courage, and wisdom! 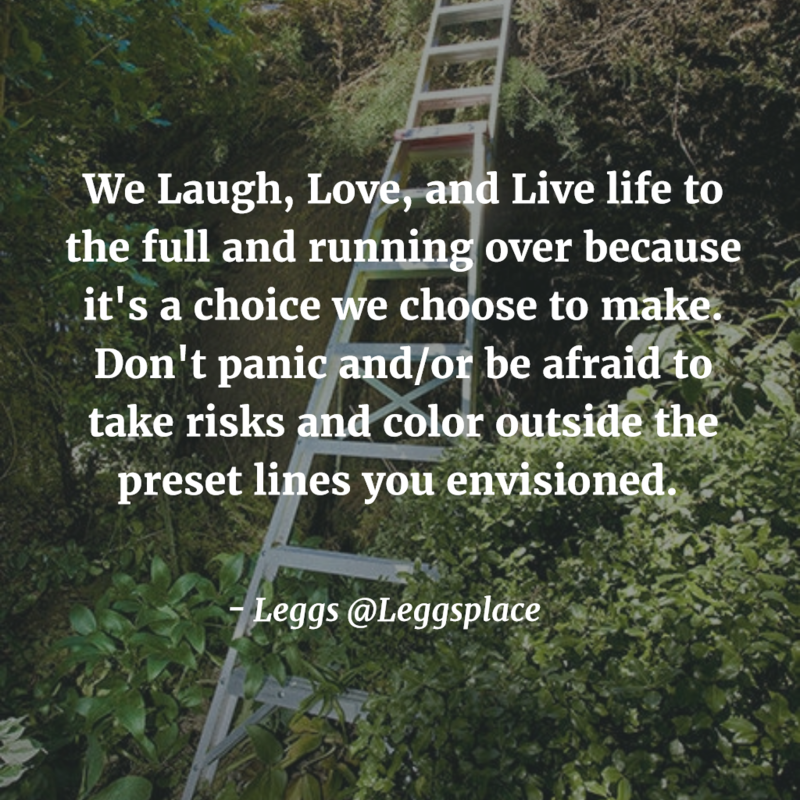 We Laugh, Love, and Live life to the full and running over because it’s a choice we choose to make. Don’t panic and/or be afraid to take risks and color outside the preset lines you envisioned.